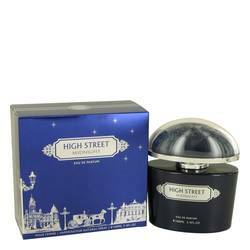 Armaf High Street Midnight Perfume by Armaf, Indulge in the experience that is Armaf High Street Midnight . A floral fruity fragrance combining sharp citrus and intoxication blooms, it begins with top notes of blood orange and fresh citrus. Afterwards, the keen nose will detect middle notes of heady honeysuckle and lemony magnolia. The heart of this perfume also contains osmanthus, a distinctive flower with a slightly fruity essence. Its delicate aroma might remind you of apricots or plums, Read More Read More paring well with the citrus opening notes. 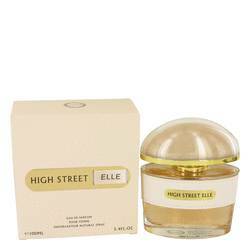 This skilled artistry ends with a base of cashmere wood, amber and musk to give sensual appeal and lasting power. 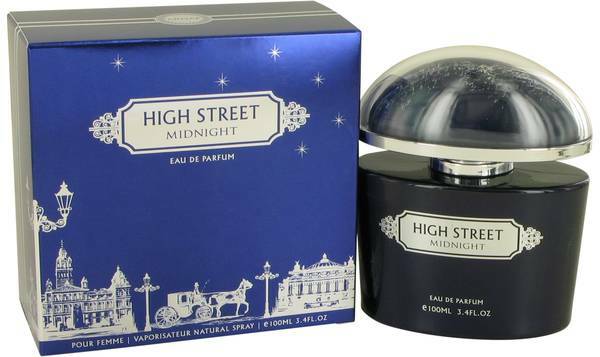 High Street Midnight is just one of Armaf’s standouts. As a Sterling Parfums brand, this label is backed by almost 20 years of sophisticated, intelligent fragrance crafting, luxurious packaging and global distribution. From delicate perfumes to intrepid scent blends, this designer offers opulence in both classic and cosmopolitan versions. All products are original, authentic name brands. We do not sell knockoffs or imitations.